My first experiment failed; the flavor was there but the texture was just off, in that low-fat, gummy sort of way. Last night, I tried again, and I’m onto something. I’m not there yet, but I’m closer. 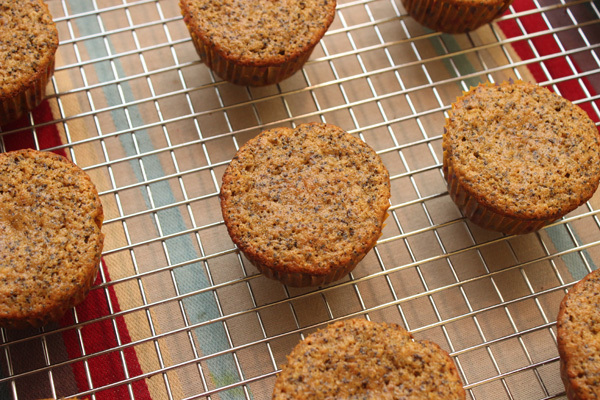 While these muffins don’t have a hugely strong peach flavor, they are still sweet, fluffy, and delicious, despite the fact that I completely bungled the instructions. I had so many different recipes open on my iPad that I started out looking at one and finished up looking at another! On some baking nights I am so focused that the process is almost meditative; this wasn’t one of them. 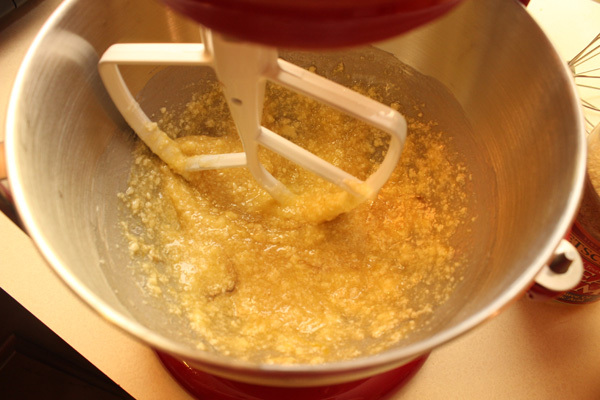 It started simply enough, with butter, yogurt, and sugar in the stand mixer. The recipe called for a full cup of sugar but I used 3/4. 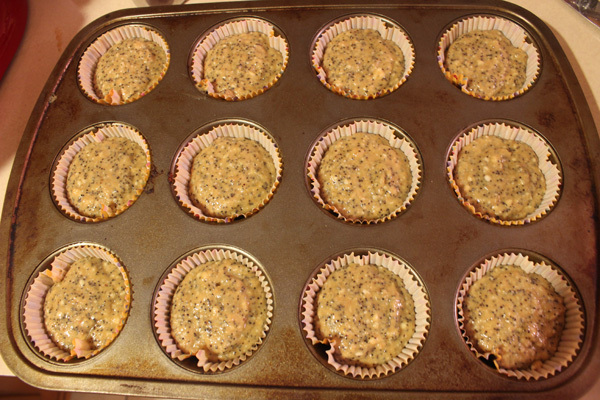 In hindsight, I think I could have used even less without affecting the taste; these muffins are SWEET. 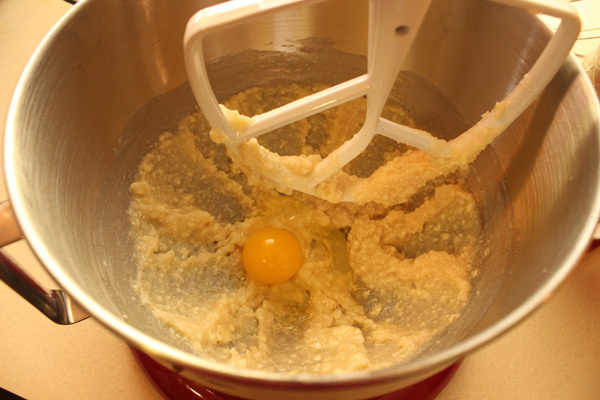 Once that was mixed (with some yogurt lumps, which is normal), I added the eggs, beating them in one at a time. 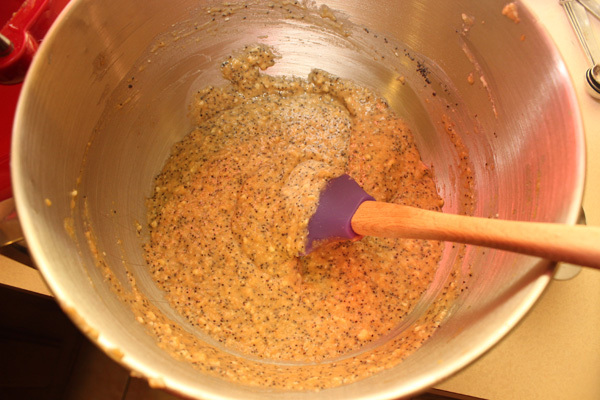 After the eggs were well blended, I added the vanilla, using vanilla bean paste instead of extract. Things started getting messy here, I think this is when I realized that I was looking at the wrong recipe. Oy! 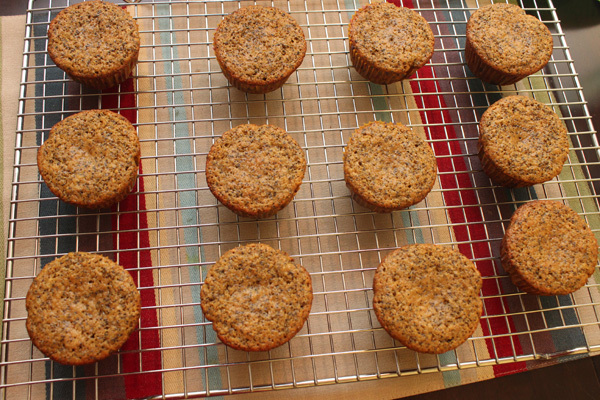 I did the best I could, and separately whisked together the flour, wheat germ, and salt. I started pouring that into the bowl, alternating with the fresh peach puree, and only belatedly realized I’d forgotten the baking soda and popped that in too. 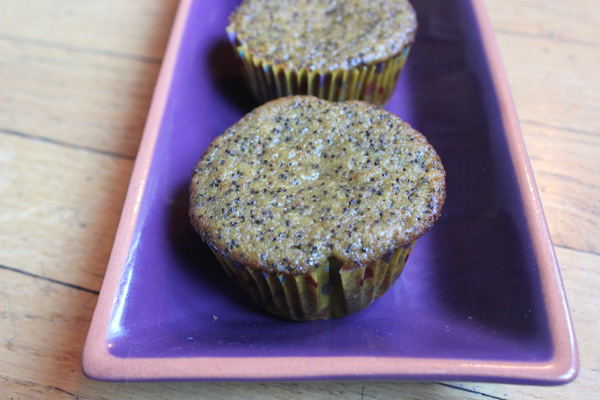 Finally, I folded in the poppy seeds. 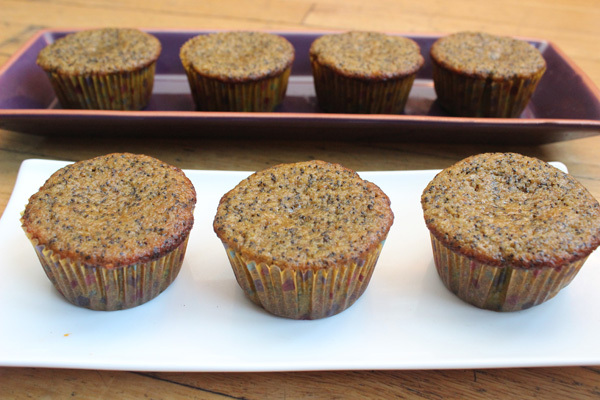 I scooped the batter into muffin cups, filling them as high as I could. 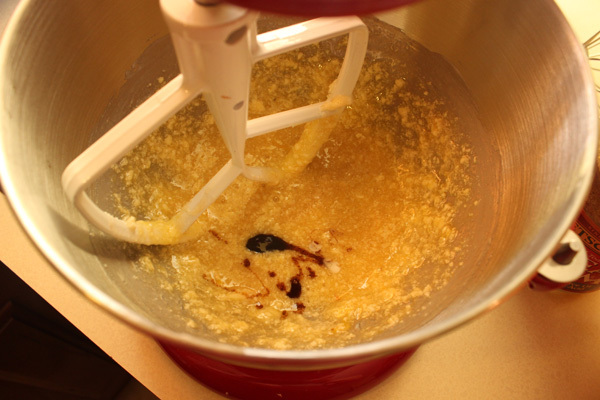 I also tasted the batter at that point and was immensely reassured. It didn’t taste super peachy, but it was sweet and delicious. I baked for ten minutes, turned the pan around, then baked for another ten. 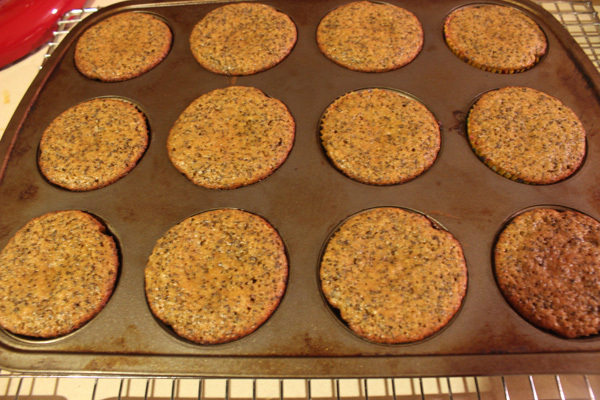 Without baking powder they ended up flat on top instead of puffy, but they still looked tasty. I let them cool for another five minutes, then moved them to a wire rack. 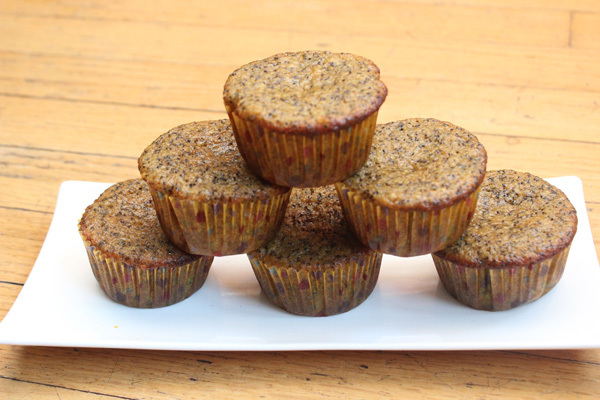 I had to make room immediately as my back-up plan for breakfast was to whip up a batch of corn muffins too, just in case these didn’t work out the way I hoped. Bottom line, the texture of these is perfect. 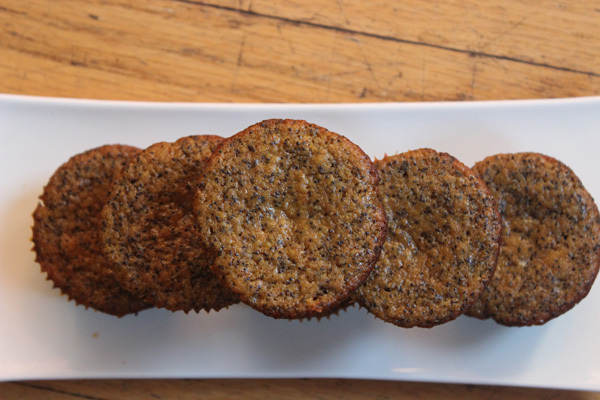 They’re fluffy and moist, with a gentle poppy seed crunch. Flavor-wise, they’re sweet and addictive, they just don’t taste like peaches. Use riper peaches. Maybe they’re like bananas, with the full flavor coming with age. Roast the peaches first. (This was from the King Arthur Flour folks.) The skins would come off nicely then too, said my online friend. Mix in some peach tea (from the insides of a teabag) to the dry ingredients. Try the method in the recipe I meant to use, mixing the baking soda with the peaches first to create some fizz. I’m not sure what this does, but it seems a shame to have skipped such a fun step. Heat the oven to 375 degrees, you will reduce the temperature later. 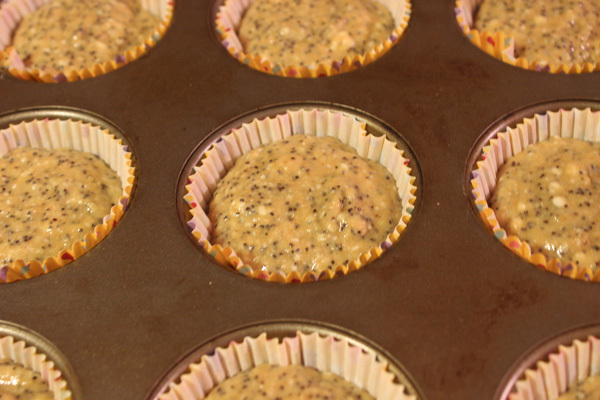 Line or grease a 12-cup muffin tin. 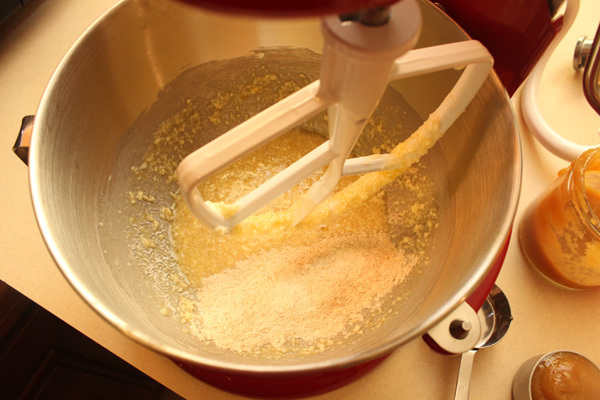 In the bowl of a stand mixer, cream together the butter, yogurt, and sugar. Don’t worry if there are some lumps, this is just the yogurt. Add the eggs one at a time, beating after each one. Then add the vanilla and beat again. 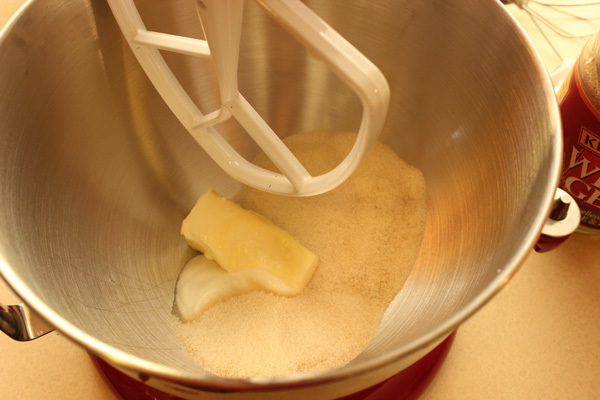 In a separate bowl, whisk together the flour, wheat germ, baking soda, and salt. 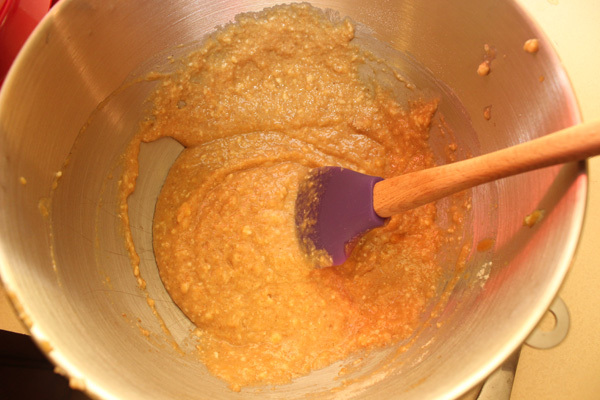 Measure out the peach puree and add it into the bowl of the stand mixer, alternating with the dry ingredients until both are mixed. 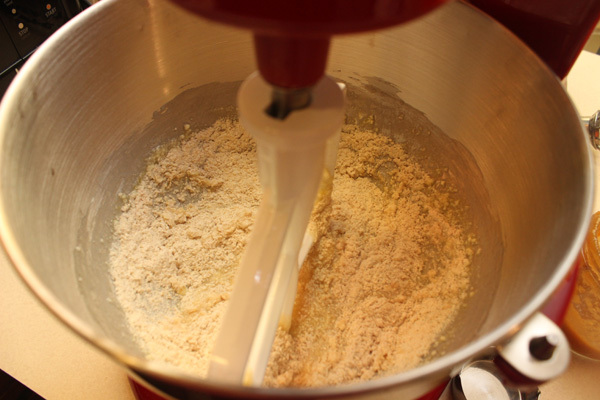 Best to start out using the mixer and then finish by hand to avoid overdoing it. 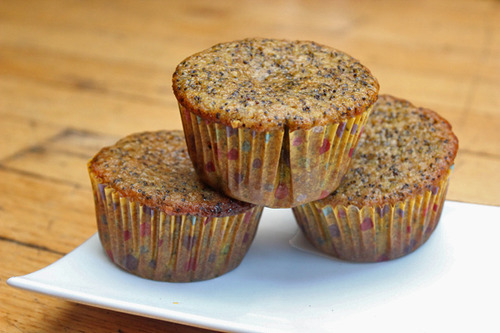 Scoop the batter into muffin cups. Let cool in the pan for five minutes, then move to a wire rack.